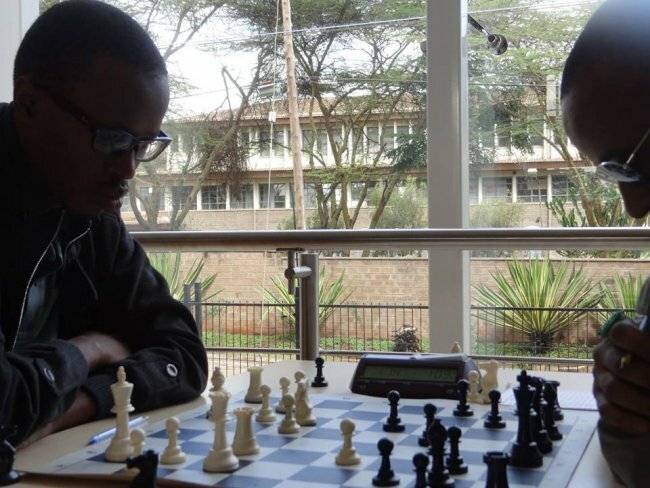 The inaugural Equity Bank Chess Open Tournament which starts at The Luke Hotel along Thika Road on Saturday has attracted over 300 competitors. Some of the top players from the East Africa region will be in attendence. Among the 150 senior and 100 junior players for the three-day event are international masters Elijah Emojong, Arthur SSegwanyi and Fide Master Harold Wanyama leading. Equity Bank’s chess captain, Bernard Wanjala said that the bank is delighted to host top local and international chess players as a way of raising the profile of the game in the country and the region. Tanzania will be represented by Nurdin Hassuji with Kangwa William representing Zambia. South Sudan, the youngest African state will be represented by Panchol Madol and Peter Diing. Hosts, Kenya has a strong team led by CM (Candidate Master) Kenneth Omolo - current national champion, Peter Gilruth – the highest rated Kenyan, FM (FIDE Master) Steve Ouma, Githinji Hinga - Chess Kenya chairman and Gohil Mehul, who is the former national champion. The queens will also be on the board, represented by Woman Candidate Master WFM Sanjana Deshpande and (WCM) Joyce Nyaruai. The tournament director will be FI (Fide Instructor) Brian Kidula and the chief arbiter will be Tony Mutua. Organized in four categories, participants will battle it out for top honors in the Prestige, Open, Ladies and Junior categories with the event offering attractive prizes for winners in the respective sections. Equity Bank chess team was established in 2004. Since then, the team has been a regular in the annual Interbank Sports Tournament that brings together all the 43 banks who are members of the Kenya Bankers Association. In 2013, the team joined Kenya National Chess League and they are currently the silver medalist in the Kenya National Chess League which features top chess clubs across the country. Equity emerged as the second runners- up in the 2016 Inter-Bank Games and are the current reigning Champions in the Bungoma Chess Open Tournament.